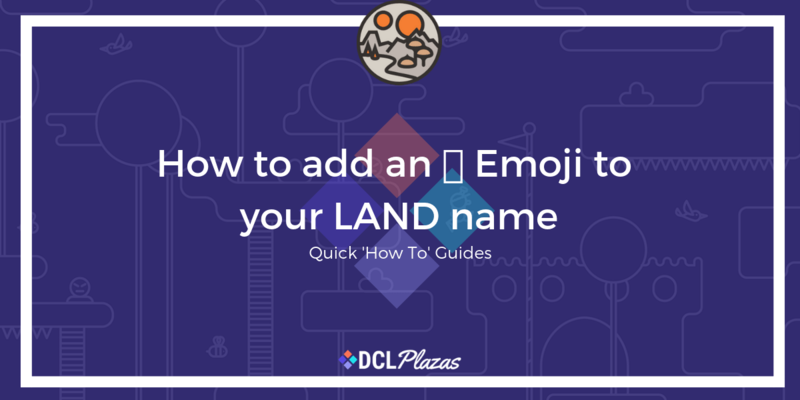 If you want to spice up your LAND parcel and get more attention, why not add an emoji?We recommend https://www.emojicopy.com/. Simply log into metamask, select the option to change your LAND parcel name, and copy and paste your chosen emoji right in! Got more questions about Decentraland? ShapeShift Enables Swaps to De..